We have fallen in love with this toy. 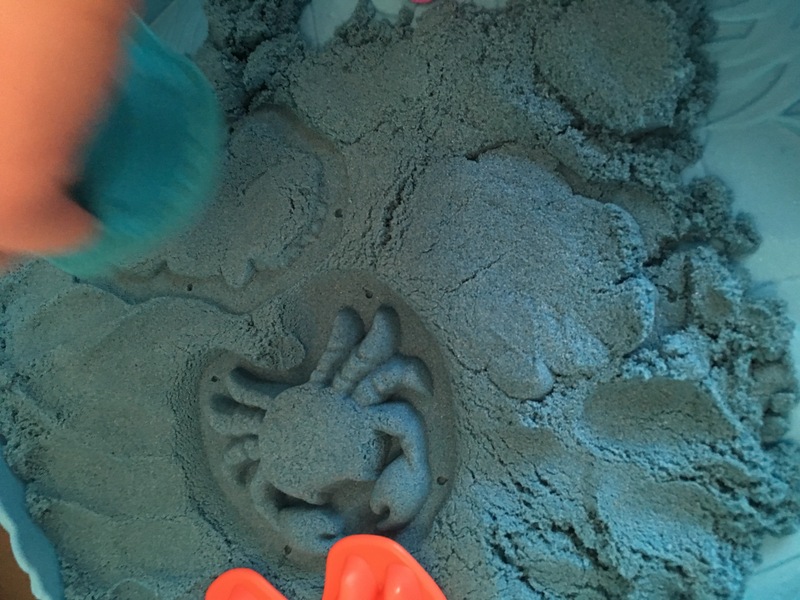 Kinetic Sand is like some sort of super toy! One minute you’re moulding it like play-dough..then the next you’re sprinkling it like sand! As my toddler says..”It’s Magic” It is genuinely our new favourite toy. 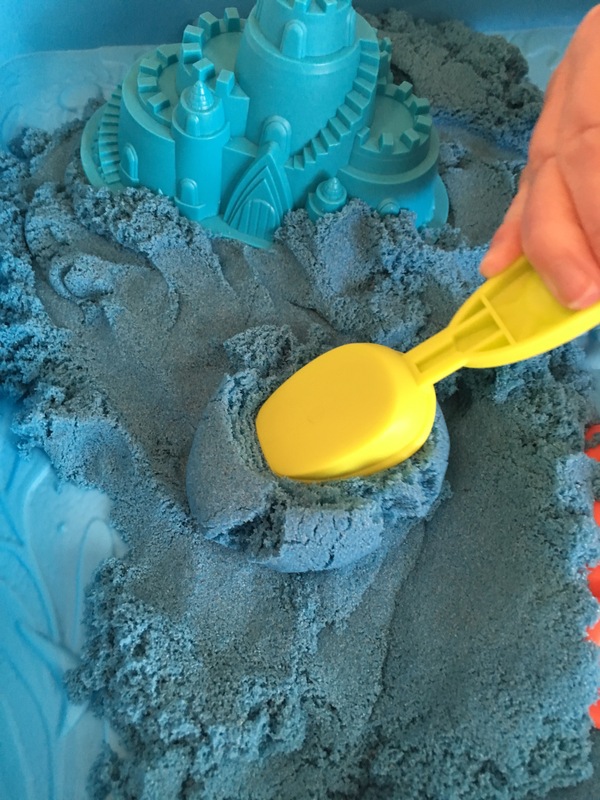 We have the Kinetic Sand Sandcastle Set – Assorted Color which comes with a spade/rake and 3 beach themed moulds. 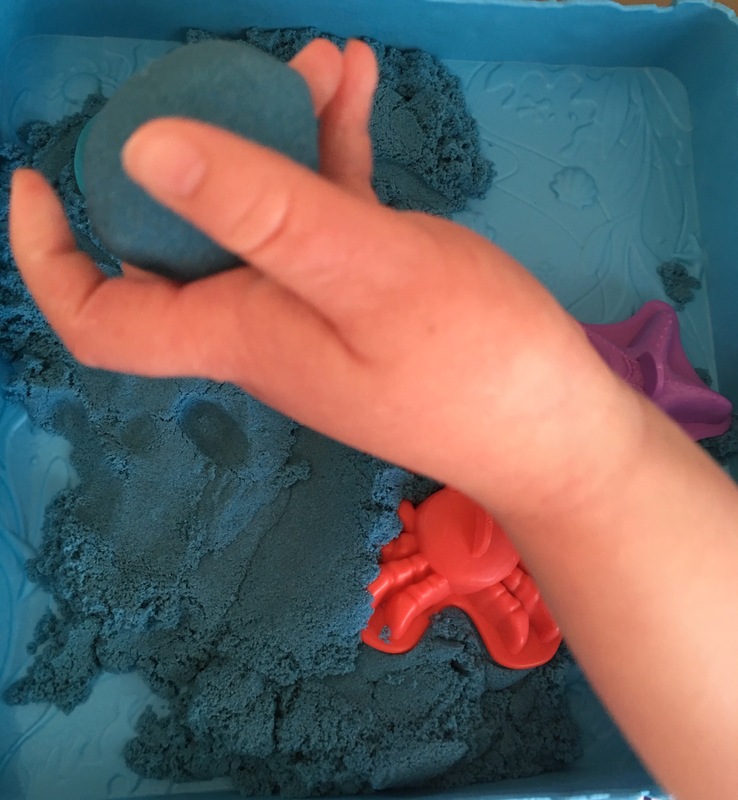 Therapeutic and Calming– It has a gentle texture and is mesmerising to watch-making it a brilliant resource for sensory play. Our children (and if I’m honest..me!) found it very relaxing to play with. From a Special Needs point of view I think it would be lovely for many Autistic children and those with sensory processing disorders. 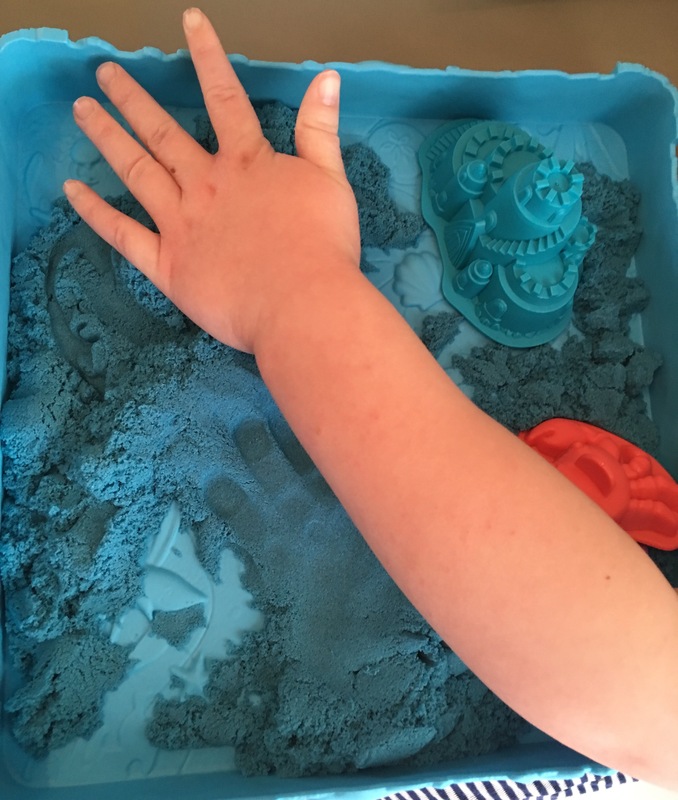 Kind on Hands– Unlike sand, plasticine and play dough we found that this didn’t irritate our toddler’s hand eczema. Easy to Tidy Away- I love the idea of messy play but I hate mess. 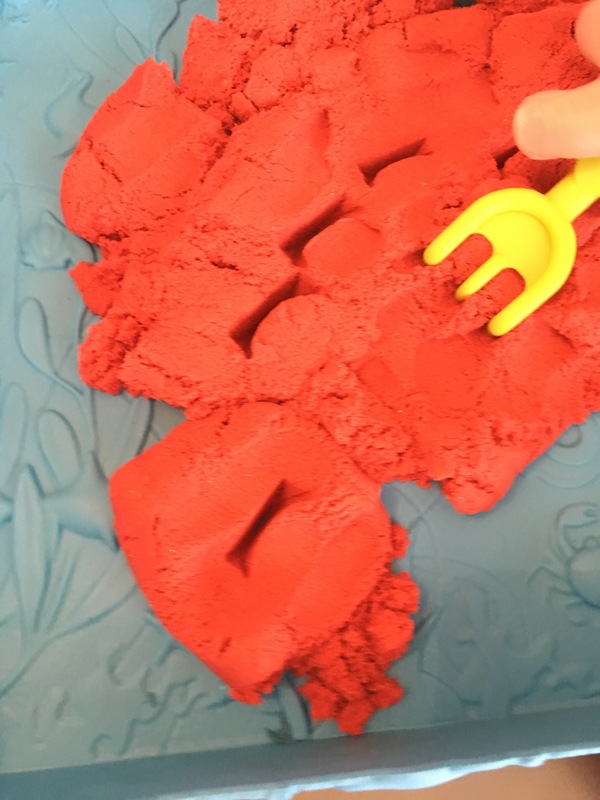 Kinetic Sand is really easy to tidy away and because it sticks together we didn’t find it messy at all to play with. 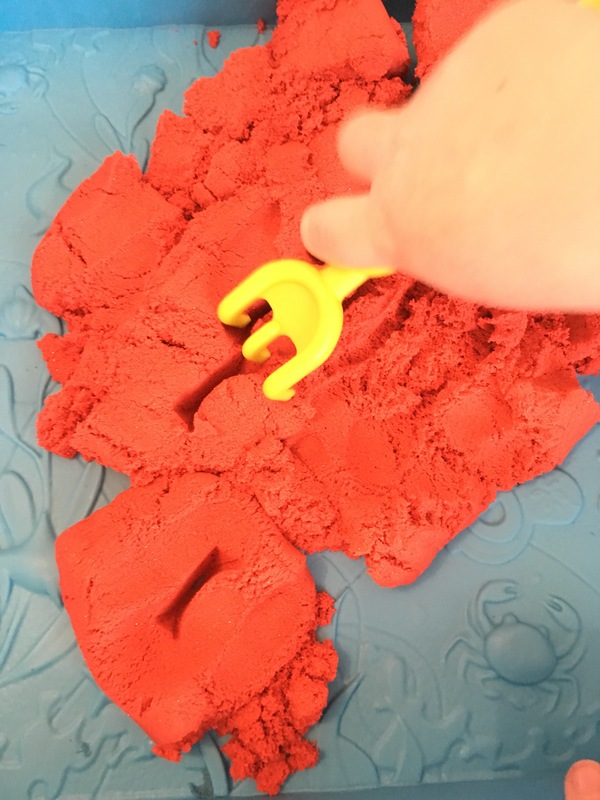 Develop fine motor skills- Moulding, squeezing, digging, rolling all help develop the tiny muscles in the hands and fingers. Fine Motor Skills are imperative for learning to write, do up buttons, use a knife and fork etc. Develop Creativity and Imagination- The sky is the limit with this toy. It’s wonderfully open-ended. Children can develop their creativity, making whatever they can imagine. We made volcanoes, rivers, animals, towers, houses all in one morning!